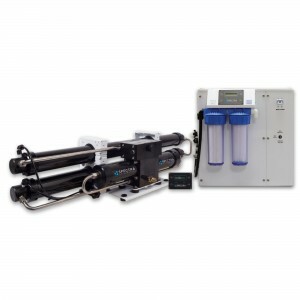 Spectra Watermakers offer a range of high efficiency, simple to operate, desalination / watermaker models. 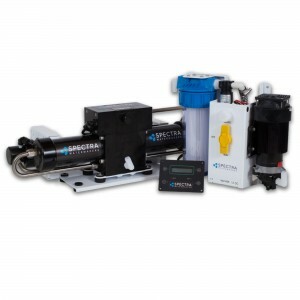 Spectra offer both a range of watermakers for boats and land based applications. 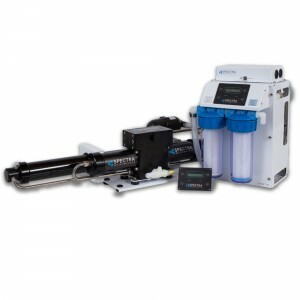 Spectra Watermaker models range from 24 to over 1500 litres per hour with systems using around 1/3 of the energy of conventional systems. 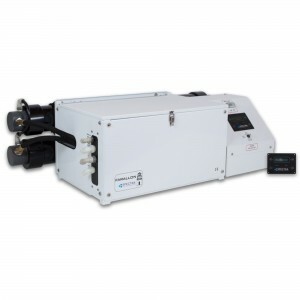 This energy recovery technology allows models up to 160 litres per hour run directly from your battery bank negating the need for either a generator or inverter. 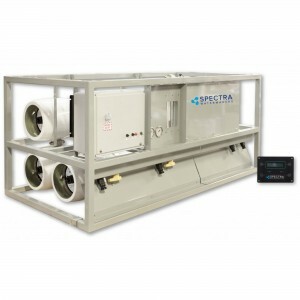 Furthermore this technology also allows Spectra systems to produce their rated output in sea water temperatures down to 5°C, whereas as conventional systems are rated at sea water temperatures of 25°C and reduce their output as sea water temperature cools. 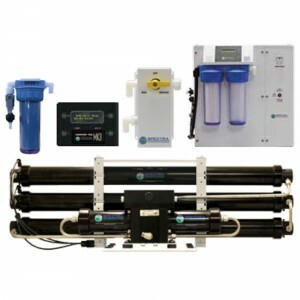 A conventional system will only produce around 65% of its rated flow at sea water temperatures of 14°C! 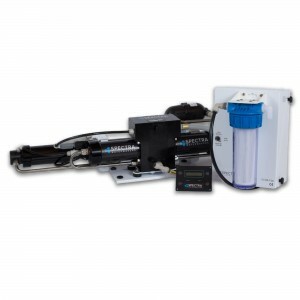 Over the years Spectra Watermakers has built an enviable reputation as a leading supplier to the worlds offshore cruising fleet. 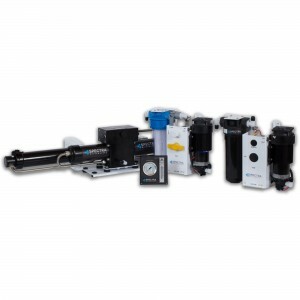 This reputation has been built on high energy efficiency, compact size, reliability and ready access to spares and consumables from an extensive world wide distribution network. Spectra has also become the system of choice for the Volvo Round the World fleet year after year thanks to their extremely low energy draw and reliability in the harshest conditions. Enertec advises a quotation before ordering. These prices will vary with exchange rate.